Jeg fandt den virkelige. den sande lokalitet for Moses bjerg, i aftes. på nettet. 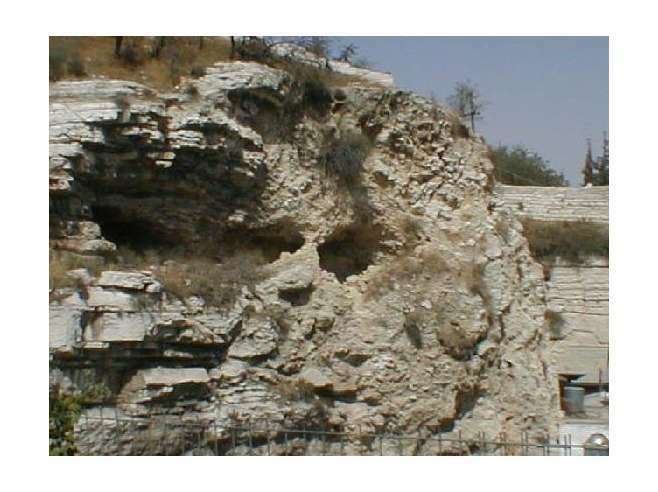 This might be the secret spot for the Gold Mines of King Solomon. Du er med til det / med i det, hvis du vil. You are a part of it / You are in, if you like. Den gav vand til mange hundred tusind Israelitter efter at Moses slog på DEN. så alle mennesker og dyr kunne drikke deraf, på en gang. Ingen kø her. Når Gud serverer. 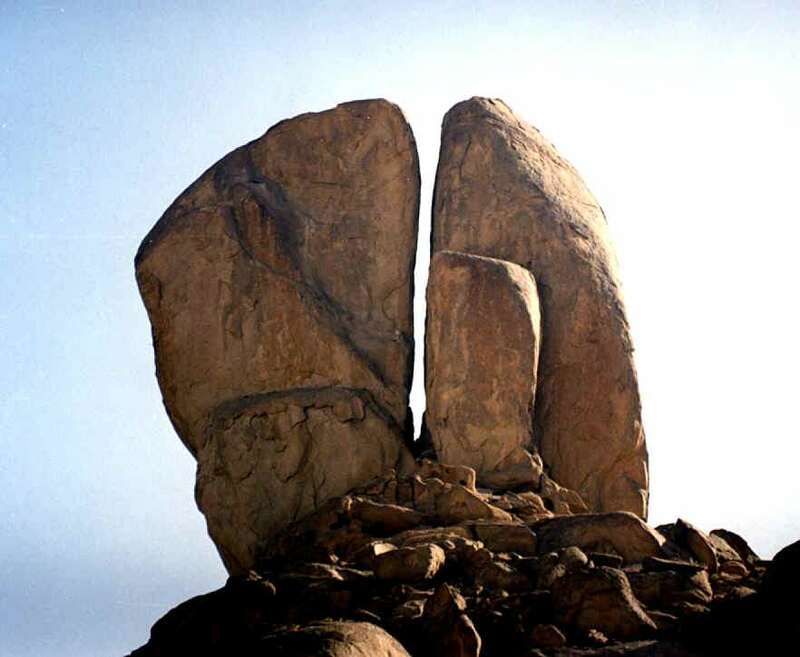 It gave water to many hundred thousand Israelites, after Moses hit it, with his staff. The water came out from it as a stream, making a sea for all human and animals to drink of, at the same time. No line for waiting, when God is serving. Yes, the real ark. There are some details that can't be revealed or verified, right now..., but when the cave is revealed again the evidence that Ron was there will be inside. The piece of an ivory artifact he broke off and left behind, also the video tape he recorded was put onto a shelf, because it wasn't time for it to be revealed. I believe the late Ron Wyatt found the ARK OF THE COVENANT! What convinced me was reading the full story of Ron Wyatt's discovery. How he came to Jerusalem not in search of the ark, but of another biblical discovery, but the Lord changed Ron's direction for sure! In a supernatural moment his mind was redirected and his arm was pointing to where the ark of the covenant rested. He flew back home to read the bible and do more research to make sure it was the right location (even though the Lord supernaturally showed him it was there) of the ark. There is nothing told in this message, until now. What he didn't know was when he began to dig with his team (boys) they discovered an ancient church foundation, a very large stone, a square hole (perfect sized to fit the cross), a crack in the earth, digging way under that through a series of small tunnels, he is led (again supernaturally) to the small cave where the ark rested. The ark was directly under a crack in the earth above. 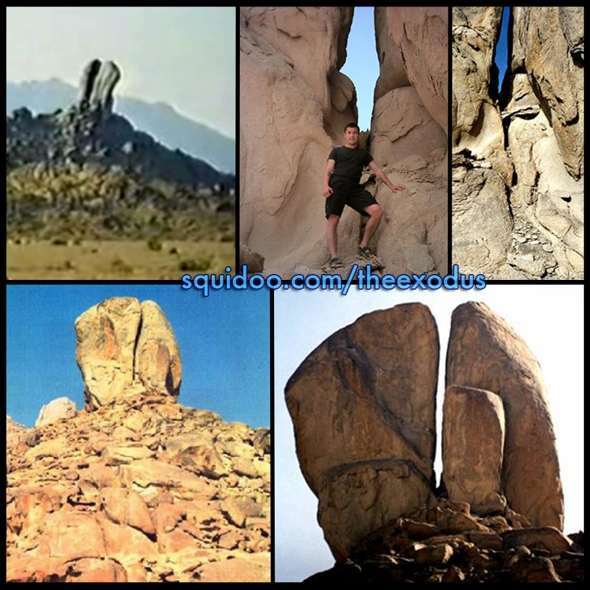 The earthquake crack directly connected to the square hole of the cross of Jesus! More importantly the blood appeared on the area above the ark and dropped on the mercy seat! Samples were taken and incredible evidence, earth shaking proof of this blood sample. If you have already begun with disbelief, then ask God to remove the scales from your eyes as you begin to read the story of Ron Wyatt. Simply let your heart be open. I believe a lot told by Ron Wyatt. But even if more of his answers, are not the right answer. he has done a great work. Guiding me and others to great truth. a web-link is found in the picture. Because I believe on top of this hill Jesus was crusified. 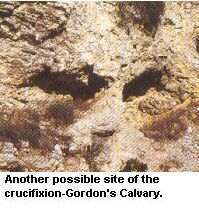 On the left side I can imagine the earthquake, an I believe that a jew has placed his grave on the spot of crucifixion. as we hardly can se on the top of this photo. 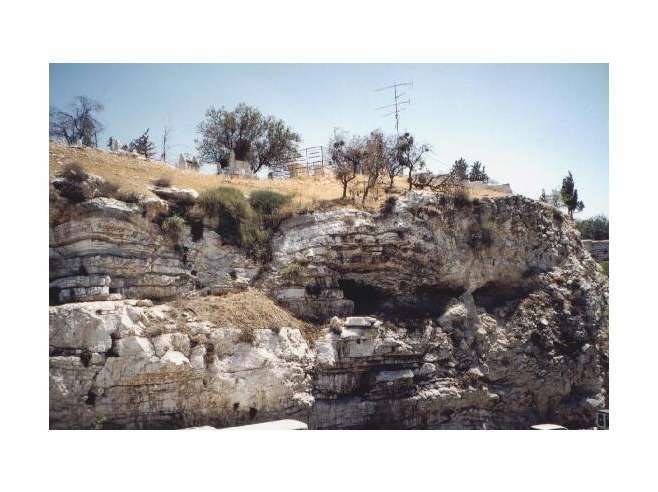 Around on the right side, there are an even more likely picture of the skull, I had counted several skulls, when being there in 1979. 50 metre on the left side of the photo, you will find the famous Garden tomb of Gordon. 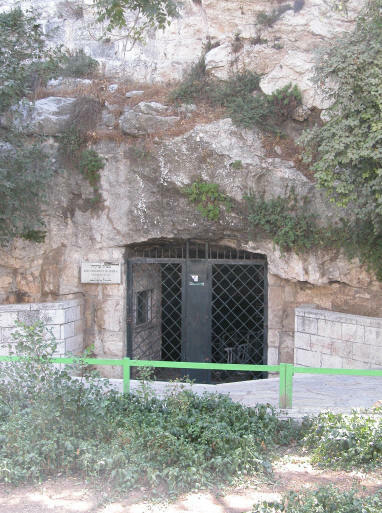 The tomb of Zakariah is in the valley of Josephat nearby, passing the garden of Getsemane.